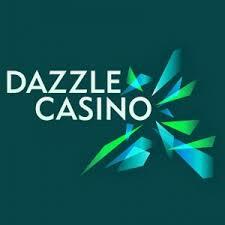 Dazzle Casino Review - 100% Cash Match Bonus on 1st Deposit!! Dazzle Casino are one of the sites who accept phone bill payments through Boku, so as we at Payforit Mobile Casino aim to bring you the best and most impressive games and bonuses; we felt you should check them out. Dazzle Casino is a classy and exciting site offering incredible promotions and high quality games. For the regular players out there, you’ll probably be aware that Dazzle Casino is quickly becoming one of the UK’s top gaming sites and once you’ve spent some time on it, you’ll understand why. Their huge choice of games includes casino, jackpot games, scratch cards and slots, with many of them being house hold name such as Terminator 2, Game of Thrones and Foxin Wins. But if you’re wondering how you’ll find the time to play so many games, then how about on the go using your mobile devices. If you have a smart phone including Android, iPhone or even Tablet device then you can play when and wherever you like. This means those mundane chores will be much more exciting, so the next time you’re stuck on the bus or walking the dog make sure you take Dazzle Casino with you. It’s easy to register on Dazzle Casino and when you make your 1st deposit, you’ll receive a 100% cash match bonus up to £200. Simply by adding the maximum £200 you’ll receive an additional £200, making a grand total of £400. This extra credit gives you plenty of opportunity to try out the site and its various games so you can see what we already know, that this is a fantastic site! After the welcome bonuses are gone then you still have the Dazzle Casino Insurance Day, where you’ll be insured against any loses. 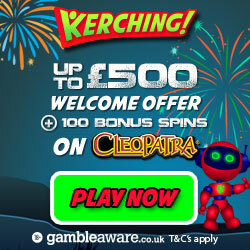 All you have to do is deposit at least £30 over the weekend and then play on Thursday between 00:00 – 23:59 GMT. Any losses made during that time will be calculated and 10% will be given back to you as a casino insurance bonus, up to a maximum of £200. Game of the Day – Every Wednesday you could win up to £100 on two of their games, these will change each week. You’ll receive an email from Dazzle Casino to tell you which games they’ll be and all you’ll need to do is deposit and play. The winners will be the players who have wagered the most on either of the two games, and details of the prizes can be found on the site. Weekly Surprise – For those of you who love a good surprise then take advantage of their weekly bonus surprise. You’ll never know what the prize will be but that makes it even more exciting, so keep an eye out on your balance because it might suddenly grow!!!! Spin and Win – Grab a bonus just for playing your favourite slots! You could receive a whopping £20 bonus on top of any pay outs you win. Monday Madness – Mondays can be pretty tough to get through, so why not take advantage of Dazzle Casinos generosity to cheer you up. If you deposit a minimum of £10 they will give you another £10, totalling £20 to play on your favourite games. This bonus is between £10 and £50, so the more you add the more you’ll earn. Dazzle Casino think it’s important to thank their loyal players so they introduced their VIP Room. At the point of registration you’ll be invited to step inside and enjoy the many perks and privileges awaiting you. Earning points is simple, all you have to do is wager £16 and you’ll receive a point. So the more you play, the more you’ll move through their 5 levels which include Bronze, Silver, Gold, Platinum, and Diamond. Some of the bonuses available include birthday presents, 24/7 customer service and converted points to cash. Dazzle Casino accept the usual banking methods including Credit and Debit card, Skrill, Paysafe Card, Neteller, Sofort and Boku pay by mobile bill. So prepare for an incredible gaming experience, by registering with Dazzle Casino and if you’ve never tried Boku then this is the ideal time!